Envisioning new paint schemes has never been easier than with online paint visualizers. Formerly, predicting what your room color would look like was exactly like predicting the future: a lot of educated hit-and-miss work. Test-daubing ovals of paint on your wall, test-painting entire walls, painting cardboard squares and taping them up: all have their merits and their disadvantages. But online paint visualizers provide the one view that no other method can give. With these programs, you are able to view the entire room in a new paint color, not just sections. On top of that, you can usually view the new color at different times of the day to see how your color might look at dusk, noon, night, or in the morning's first light. Before you invest time in any paint visualizer, it is important to remember that these are marketing tools that paint companies offer for free to lead you toward purchasing their products. While the world of free online tools is familiar to most of us, what this means in a material sense is that you will be lead down a well-tended pathway to a paint purchase from a single company. While it is possible to copy paint colors from one manufacturer to another, you will always see the greatest color fidelity by sticking with the same company. So, you may wish to eliminate online tools from paint manufacturers not represented by brick-and-mortar locations near to you. Nothing can be more frustrating than settling on that perfect bathroom paint color, then finding out that it is not available to you. Benjamin Moore's Personal Color Viewer has been an old reliable favorite for years. At one time, Personal Color Viewer's software incorporated into their site from Swatchbox Technologies could have a bare-bones feel. On the good side, though, this meant that Benjamin Moore kept everything simple, hewing toward basic room visuals and solid color selections that you could count on. With Benjamin Moore's Personal Color Viewer, you can freely design prepared rooms without registration. 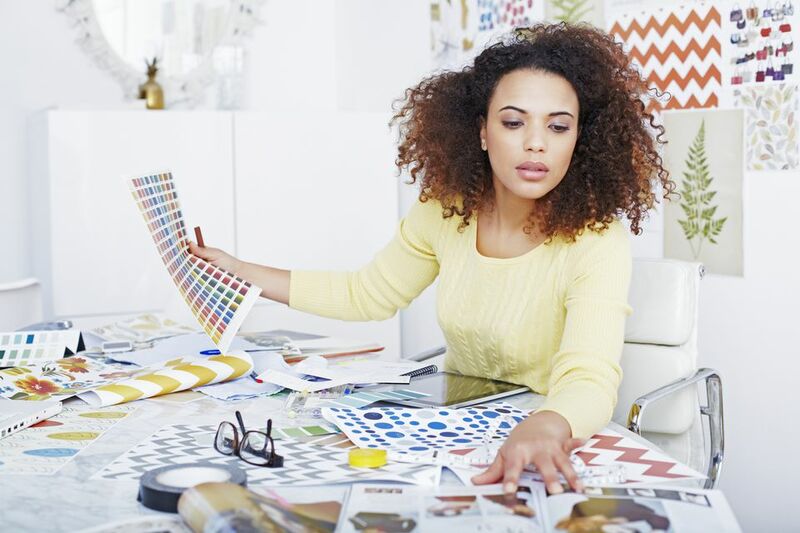 If you want to design a color scheme for your own room, you do need to register with a password or through a third-party social provider such as Facebook. While many online paint visualizers offer up fanciful sample rooms that are almost too good to be true, Benjamin Moore Personal Color Viewer has a number of sample rooms that may feel more ordinary, and thus more familiar and accessible, to many homeowners. Sherwin-Williams' famous logo "Cover the Earth" is fairly close to reality. With well over 4,500 locations, Sherwin-Williams probably has a store near to you. This allows you to act on any color inspirations that may strike you when working with the Sherwin Williams ColorSnap Paint Visualizer for the web, Android, iPhone, or iPad. For many homeowners and designers, a paint company is only as good as its partnerships. If this is the case for you, then you will enjoy the associations that Sherwin-Williams has with Pottery Barn, West Elm, and HGTV Home. For a nearly professional-level paint visualizer, Sherwin-Williams' drag-and-drop paint palette may be just what you need. Sherwin-Williams ColorSnap requires registration if you want to save a room. But the visualizer is refreshingly quiet about registration, allowing you to paint prepared rooms with no interruptions. To avoid the contrast between your expected color and the true wall color, Sherwin-Williams has integrated its proprietary Precision Advanced Color Matching Technology with ColorSnap. This ensures greater color accuracy and consistency. In the same sense that Behr is Home Depot's house paint, Valspar is Lowe's Home Improvement's house brand of paint. If you like Lowe's, Valspar just might be the paint you will choose for your project. Valspar Virtual Painter's greatest asset is that it allows you to change the color of other parts in the room, usually secondary or accent walls but even elements such as furniture. Valspar's Virtual Painter wins, too, because it is so well-represented. With over 2,100 locations, Lowe's and Valspar can be found somewhere near to you. On top of that, Valspar paint tends to be competitively priced. Virtual Painter can be a frustrating tool to work with, though, because it is necessary to pull up a separate screen for the color swatches. Once you find a color, you then click the "Take To Painter" button and go back to your room.